Children now will never know a life without computers, televisions that don’t weigh four hundred pounds, or just being able to “Google” anything that comes to mind. The days of our parents or grandparents living through the Great Depression seems to be a bygone era, now only read of in history books. Is it possible we have become TOO dependent on our modern conveniences? This question seems to arise every time we are hit by a hurricane here in Florida. Suddenly, we are without power, sometimes without water, and often without the internet. How well do you function under such circumstances? Do we remember how to do math with pencil and paper when the cash registers aren’t working at the store? Could we wash our clothes without an electric washing machine? What about cooking? Do children even know what an encyclopedia set is anymore? How would they look up information without the internet and Google? We don’t like to think about it because, quite frankly, we enjoy our conveniences. After a hurricane, we are reminded, once again, to be thankful for our conveniences and not take them for granted. Watching zombie shows or post-apocalyptic movies, we ponder if we could survive in such a world where there is no electricity and cars are abandoned when they run out of gas. And forget ever using a blow dryer or curling iron again! 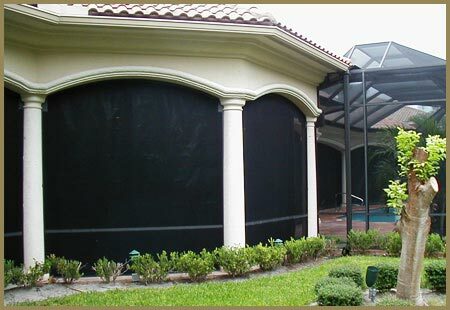 When it comes to hurricane preparation, it is important to have a hurricane shutter system that doesn’t rely on these modern conveniences. 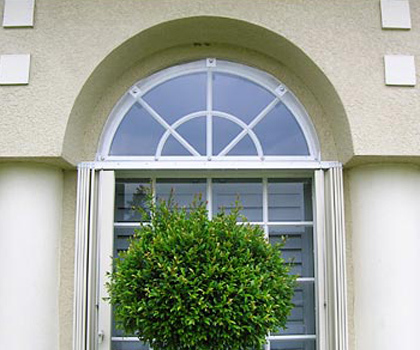 Our hurricane shutter systems are easy to deploy, taking forty-five minutes or less for your entire house. We have a showroom on site in Melbourne, FL so that you can come to try them out and see just how easy they truly are! You see, modern conveniences break all the time. Electricity goes out on a fairly regular basis in Florida whether it’s caused by lightning during a thunderstorm or a tree taking out a power pole during a hurricane. Our modern conveniences aren’t always convenient! They aren’t reliable. How often do you find yourself frustrated with a computer, phone, or your internet service? We bet it’s pretty often. When it comes to your safety, we feel it is best to rely on what we have been given naturally – our own power, our own two hands. With that in mind, our hurricane shutter systems are easy to deploy and don’t rely on an unreliable computer chip! 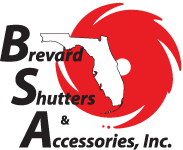 Brevard Shutter has a wide variety of shutter systems to choose from, and we are certain that we have one that will meet your needs. If you have a home in the Melbourne, Palm Bay, Viera, or beachside areas, please stop by our showroom or give us a call today. We will help you make an educated choice and will provide you with beautiful, high-quality hurricane shutters that you can deploy all by yourself!